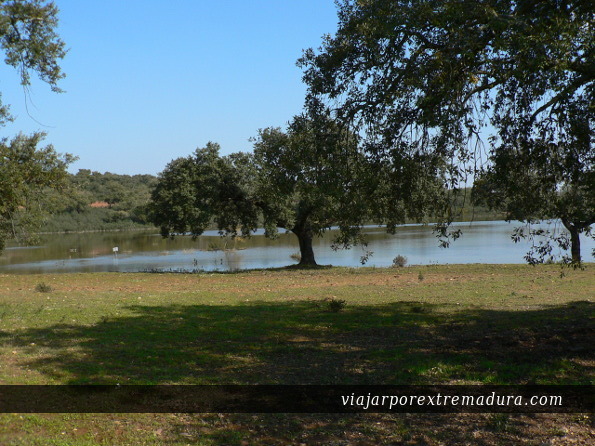 Holm oaks and cork oaks surround the Roman dam of Cornalvo which was built over Albarregas river, and whose purpose was to supply Emerita Augusta (Mérida) with water. This dam was declared National Monument on December 13th 1912, and it is still in use nowadays. The surrounding area is a natural park, and it was declared special protection area in 1988. Low reliefs break by mountain ranges of Sierra Bermeja and Sierra del Moro are at the south border of the park. Aljucén river and the rivers of Las Muelas and La Fresneda are the main watercourses in a land where native vegetation stands out. The most representative landscape is formed by holm oaks and corks oaks that stretch out before plain lands arising beautiful landscapes. In the mountain range slopes Mediterranean forests grow up; nowadays this habitat has almost disappear from the sorrounding areas arround Guadiana River. This sort of ecosystem is highly preserved thanks to the few human contstructions in the area. 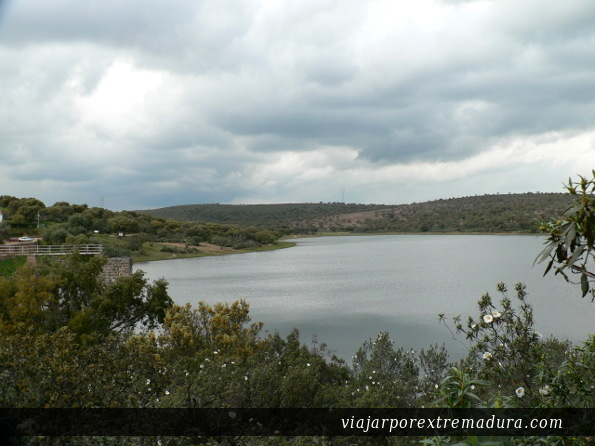 More than 250 vertebrate species live in Cornalvo. For this reason it is noteworthy that in Cornalvo live two species in danger of extinction, the Jarabugo, an endemic fish which lives in the Aljucén River; or the black Stork. Several couples of black storks have built nests on the top of cork oaks in Cornalvo to maintain the existence of this unique bird. There is an visitor’s centre at the entrance of the Natural park to inform visitors about the flora and the fauna, as well as interesting spots in the zone.